Two subjects continue to fascinate people—the Old West and a good mystery. 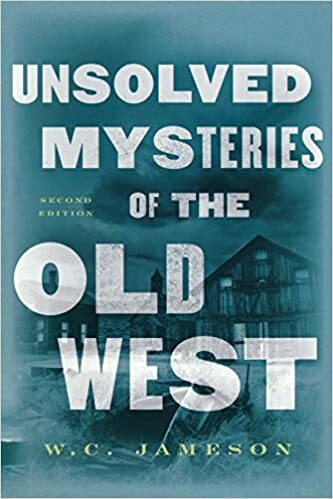 This book explores and examines twenty-one of the Old West's most baffling mysteries, which lure the curious and beg for investigation even though their solutions have eluded experts for decades. Many relate to the death or disappearance of some of the best-known lawmen and outlaws in history, such as Billy the Kid, Buckskin Frank Leslie, John Wilkes Booth, The Catalina Kid, and Butch Cassidy. Others involve mysterious tales and legends of lost mines and buried treasures that have not been recovered—yet.